I think Sparrow Road is trying to show me a different native Iowa sparrow every day. 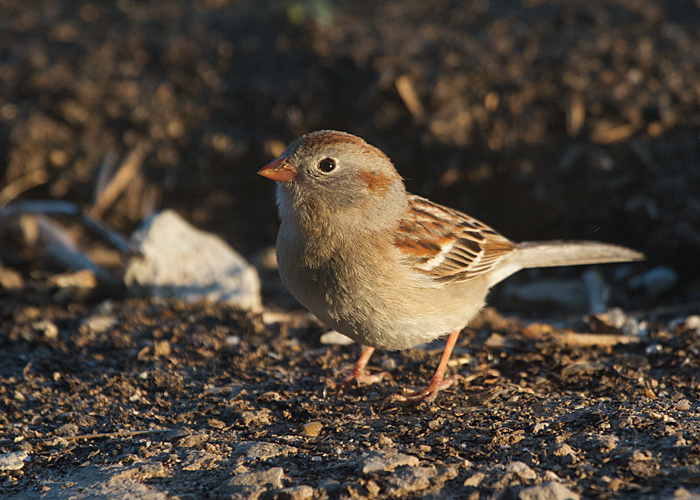 This morning a field sparrow pecked at something on the ground by the side of the gravel road. This sparrow is rather plain faced, but it stands out because of its orangy-pink bill and legs.